This is a Hyderabadi-style pepper chicken dish. 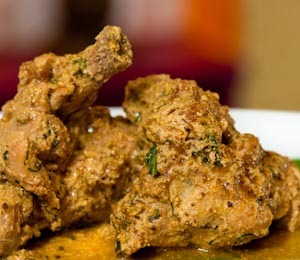 This is a Hyderabadi-style chicken confit dish cooked in its own juices without the addition of any water. This is chicken and green herbs. This is chicken and spinach. This is spiced chicken with cumin, chilli and pepper. This is smoked chicken mince kebabs. This is chicken in a spiced coconut sauce. This is parsi coconut chilli chicken. Speaking of which, Every last day we have to eat. The age outdated concern that haunts moms “what’s for supper” can trigger panic. You should not permit it. Arm by yourself with procedures to develop really easy chicken recipes for supper. Continually be geared up, and get swift quick dinners on the table.